Here is an article from 2007, and the drops continue, in spite of the clear scientific evidence it is not beneficial to our ecosystem. “We have audited Department of Conservation scientific research and produced an 88-page monograph reviewing more than 100 scientific papers. The results are startling and belie most of the department’s claims. There is now a familiar litany of scientifically insupportable claims about what great things aerial 1080, a universal poison, is doing for our forest ecosystems. The people of New Zealand have a right to know the truth about what the scientific evidence shows. We have audited Department of Conservation scientific research and produced an 88-page monograph reviewing more than 100 scientific papers. First, there is no credible scientific evidence showing that any species of native bird benefits from the dropping of tonnes of 1080 into our forest ecosystems, as claimed by the department and Kevin Hackwell. There is certainly no evidence of net ecosystem benefit. We have repeatedly challenged DoC and Mr Hackwell, a representative of the Forest and Bird Society, to come forward with the hard scientific evidence for their “dead forest” claims. They have not. Second, considerable evidence exists that DoC’s aerial 1080 operations are doing serious harm, as one would expect, given that 1080 is toxic to all animals. It kills large numbers of native species of birds, invertebrates and bats. Moreover, most native species are completely unstudied. In addition considerable evidence shows there are chronic and sublethal effects to vertebrate endocrine and reproductive systems, possibly including those of humans. Dead birds found over a few acres, after 270,000 hectare aerial 1080 poison drop, Kahurangi National Park, 2014. This was the first year of DoC’s “Battle for our Birds” drops. Third, DoC claims that one can drop food laced with 1080, a universal poison (World Health Organisation classification “1A extremely hazardous”) indiscriminately into a semi-tropical forest ecosystem and only negatively affect one or two target “pest” species. That is counterintuitive and scientifically improbable. Fourth, as far as we can determine no other country in the world is doing (or has ever done) anything remotely similar – mass poisoning of a semi-tropical ecosystem on the scale that the department is now doing to ours. Fifth, and perhaps most disturbing, is that what the department-sponsored research shows has been habitually misrepresented – entirely unjustifiable assertions regarding 1080’s benefits and lack of harm. Statements like those of Mr Hackwell that the forests will be “dead” without poisoning them with 1080, and from John McLennan (Landcare Research) and Al Morrison (then Director General of DoC) that 1080 is existentially necessary to Kiwis is pure demagoguery and scientific nonsense. What is at risk by continuation of this extraordinary practice – and it is unique in the world – is the ecological integrity of our forest ecosystems, our reputation as an environmentally sane and responsible country, and our existence as a society in which reason and rationality can triumph over bureaucratic prerogative and budgetary gain. Since Galileo Galilee first discovered the moons of Jupiter in the 17th century, the way to resolve this kind of disagreement has been to do the experiment and examine the evidence, and that is precisely what we urge everyone to do. Don’t believe DoC. Don’t believe Mr Hackwell. Don’t believe us – believe the evidence. To that end we will provide a copy of our report and the source scientific research papers to all who would like to read them. * Quinn and Patricia Whiting-O’Keefe are retired scientists. If you have difficulty with the link to the report go to our Resources page & see it there. See also our 1080 pages for info & links, &/or search ‘categories’ drop down box for further related articles (at left of any page). Your comments are welcome, however if you are a fan of 1080 & wish to highlight DoC’s data then mainstream media is the place to go. This site is reserved for providing independent research & unfortunately I do not have the time to monitor long discussions. As well, I decline to publish information that is freely available on DoC’s own website. People can go there and peruse that for themselves. A Goldman Sachs-organised, ‘risk-free’ loan of $200 mill Kiwi Savers’ funds is now LOST after the bank collapses – still trust your government? Seriously do you still trust your government which really is a corporation, to swan around the planet investing your hard earned cash in foreign banks? A ‘risk-free’ loan TO a bank that’s subsequently crashed … really? Check out our previous articles on Kiwi Saver. This is not the first time things have run amok. Kiwis funds have disappeared from their accounts folks by the thousands. Not a few cents …. thousands of dollars. It’s fast coming time the only safe place to put your hard earned cash is in your sock or under your mattress … sadly. The banks already have the right to hair cut your savings should they go bust (Open Bank Resolution – google it) and it appears they haven’t circulated that information to well because few seem to know about it. Your representatives tax themselves at 2.8% while middle income workers are taxed 28%. See whose nests they are feathering … it isn’t yours. Search for other banking articles in ‘categories’ (left side of page). Almost $200 million of taxpayer money invested through the Kiwi Superannuation Fund has been lost after a Portuguese bank where the money was invested, supposedly as a “risk free” loan, collapsed. The Super Fund, set up with public money to cover partly the retirement costs of baby boomers, has revealed it had been caught up in last year’s collapse of Banco Espirito Santo (BES) and a US$150m (NZ$198m) investment made in July had been completely wiped out. The investment was a contribution to a Goldman Sachs-organised loan to the Portuguese bank, but only weeks after the money was injected it imploded, with president and founder Ricardo Salgado arrested as part of a criminal investigation into tax evasion. After disclosing billions of Euros in losses, and facing a run on funds by depositors, the bank collapsed in a heap and was broken up in August. Goldman Sachs, described by Rolling Stone as “the great vampire squid” for their sharp business practices in the run-up to the global financial crisis, today said it would “pursue all appropriate legal remedies without delay” in an attempt to recover the loans to BES. Following the recent shocking news about 1080 drops into the streams that flow into Lake Taupo, this info from an OIA request is very interesting. Now would you not, with that many precious and rare native birds, be testing as to HOW they died? You surely would not just presume, pests? And would you not actually TEST for poison, any poison? Not long ago we posted an article on DOC’s failure to show one endangered species in recovery, in spite of $3.5 BILLION being spent! That’s a large sum of money to just shrug your shoulders at. There needs to be some accountability. People are asking questions and rightly so. These Kiwis were only the tagged ones too, so the numbers may well be just the tip of the iceberg! An important note to the few who think this article is emotive and inflammatory … PLEASE READ THE ENTIRE ARTICLE AT THE LINK PROVIDED at the end. There are further details about the OIA request, analyses of the results and responses by DOC. Clearly folk have not read it in its entirety. And the point of my introductory remarks is that the dead birds were not tested by DOC for cause of death. Surely a logical thing to do, not just expect the public to assume/believe it wasn’t 1080? “It has been revealed through an OIA request that tagged kiwi have been dying in large numbers in one of our most heavily 1080 treated forests. Aerial 1080 drops first began in the Tongariro Forest in 1976 and have been followed with subsequent drops in parts of the forest in 1988, 1989, 1991, and over much of the forest in 1995, 1996, 1997, 2001, and 2006. Another drop was carried out last week covering around 15,000 hectares. It would be reasonable to assume, after so much 1080 poison has been spread across the forest, there could be no sign of a ferret or stoat for miles – surely? Not so. In the last 5 years, revealed through the DoC OIA request, 89 tagged kiwi, of all ages, have died in the Tongariro forest. Keeping in mind that the tagged kiwi only represent a fraction of the wild population, the actual numbers, from a population perspective, may be enormous. More concerning is what’s killing the birds. The assumed cause of death, in most cases … is predation by ferret. We are told by DoC kiwi can defend themselves from mustelid attacks, once they reach 1.5kg in weight. Yet, many of these birds are adults. When discussing the use of 1080, the DoC use sentences like “overwhelmingly successful”, “very effective”, “rapid knockdown” to justify their poisoning campaigns. “It’s the best tool we have for managing pests, and keeping predators at bay.” At least that’s what we’re lead to believe by The Department of Conservation, the PCE, and Forest and Bird. But what’s really killing the birds? Surely not predators, going by what we’re told about the effectiveness of 1080 at eliminating them. If it is predators, it would also be reasonable to say that the use of 1080 poison clearly isn’t working. Surprisingly, given so much poison has been dropped across the forest, not a single kiwi from the 89 deaths has been tested for 1080 poison residues. DoC say that the time-frames for the poison drops don’t line up with the likelihood that 1080 could be a cause of death. Given the amount of poison dropped in the forest over the last 35 years, all endemic species found dead within the poisoned boundaries should be tested for poison residues, simply to eliminate toxins as a cause of death. Surely? More concerning is the fact that in the last 15 years, with tens of millions of hectares of habitat being poisoned, only 5 kiwi across all of New Zealand have been tested for 1080 poison residues. 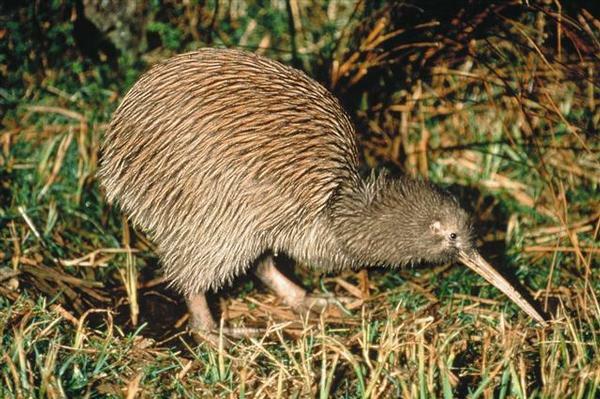 It should be noted that kiwi are known to eat 1080 cereal bait, and 1080 residues have been detected in kiwi droppings. On top of the 7 poisoned kea three weeks ago, the 3 poisoned kaka earlier in the year, the loss of 11 kiwi at Mt Bruce, 21 ruru in the Waitutu, the poisoned fernbirds, robins, tomtits and others, it is becoming more clear that the experiments with 1080 poison across our forests, aren’t working. After 35 years of poisoning campaigns, and desperately trying, there still isn’t a single, credible scientific research paper that demonstrates a net population benefit to any native species through the use of aerially applied 1080 poison. Not one! And yet the drops continue. Responsible, ground control methods do work. 50,000 hectares of the northern Te Urewera National Park is managed by DoC, trappers and volunteers. No aerial 1080 poison is used. We need to encourage, and replicate these methods, and eliminate the future use of aerially applied poisons. The Election is less than two months away. If you’d like to see an end to 1080 poison, and more responsible, sensible methods of pest control implemented, please consider giving your party vote to UnitedFuture – the only party in government to make the banning of 1080, policy. The Department of Conservation is concerned factual information about kiwi deaths in the Tongariro Forest has been inaccurately portrayed by anti-1080 campaigners. A media statement released yesterday by anti-1080 campaigner Clyde Graf linked biodegradable 1080 with the death of 89 kiwi in the Tongariro Forest Kiwi Sanctuary over the past five years. The release, titled “89 Dead Kiwi – 1080 clearly not working” selectively quoted information provided by DOC and claimed that 1080 drops in the forest had failed to protect kiwi. It also suggested the biodegradable toxin itself could be responsible for the kiwi deaths. However DOC says the release fails to point out that 1080 – which breaks down naturally in soil within weeks – was last used in the forest sanctuary almost four months before the first recorded kiwi death. “We know that kiwi are at very low risk from 1080. DOC has monitored more than 280 kiwi both through and after aerial 1080 operations – some for well over a year – and we have never lost a single bird to 1080.” said Dr. Avi Holzapfel, DOC’s Kiwi Recovery Group leader. “Rather than claiming that ongoing predation shows that our pest control is not working, Mr Graf should have put more focus on the fact that predator control at Tongariro has resulted in many more kiwi surviving than would have otherwise. Claiming that 1080 has failed because some kiwi are still being killed by predators is like saying that an emergency department in a hospital is failing because it can not save everyone. RE – In response to DoC’s “1080 kiwi claims extremely misleading”. Firstly, I’d like to thank The Department of Conservation for the opportunity to raise further issues relating to the poor life expectancy for kiwi in the heavily 1080 poisoned Tongariro Forest. DoC claim in their response…”we have never lost a single bird (kiwi) to 1080″. That’s an astounding statement! If DoC had have tested every kiwi that died within the poisoned area, they could make that claim. The fact is, from the information supplied, they haven’t tested a single bird for 1080 poison residues from within the Tongariro Forest. Therefore, the claim is redundant. Given the absence of randomisation, replication, and controls in much of DoC research, it is difficult to come to any sound conclusion when referring to what the likely outcome would be if 1080 were not used. But taking into account the persistence of the department in defending it’s use of 1080, the data would likely be biased – hence the need for blinding. In their response, DoC also claim … “Mr Graf fails to point out that chick survival in this forest more than doubled in each of the two years after the last 1080 operation in 2006 when stoat numbers were very low, compared with years without 1080”. Once again, an astounding statement. Chick survival in the Tongariro Forest doesn’t look good, going by the information supplied by the DoC. Between September 2007 and March 2011 (about 4.5 years) 88 kiwi chicks were fitted with radio transmitters. Of these, only 5 are known to be alive – and of these, 3 were tagged within the last year. So, only 2 kiwi chicks, from 85 (88, less the 3 fitted in the last 11 months) fitted with radio tags for a period of between 1 year and 4.5 years, are known to be still alive. That’s just over 2%. If the 3 chicks that have been fitted in the last year are included, the percentage of known survivors from the original 88 is just over 5%. But this doesn’t mean these 5 birds are going to make it to adulthood. Chances are, they won’t. Many birds are killed in the sub-adult age group. Of the 38 birds tagged between April 2006 and May 2010, 8 are known to be alive. From July 2010, to July 2011, 25 sub-adult birds have been tagged. There has been a 1080 free period in the forest, since 2006 (up until a couple of weeks ago). Of these more recent 25 tagged birds, 22 were still alive as of the 31st of July 2011. Of the 67 adult birds radio tagged, 24 are stated as being alive, as of July 2011. 19 are assumed to have been predated on, and 7 classed as “unknown” and “misadventure”. (Why were these birds not tested, to eliminate poison as a cause of death?). The remainder dropped their tracking equipment. Kiwi can live for over 60 years. If so few kiwi chicks make it to adulthood in the Tongariro, and the tiny percentage that do are likely to be predated on, kiwi look like being extinct in the Tongariro forest within a generation. It would seem the data is being selectively analysed by the DoC, and the public are being mis-informed. DoC are focusing on claiming they get a certain percentage of fledgling survival from many species of native birds, including kiwi. Fledgling success has nothing to do with population success. What good is it if a chick lives for a few months and dies, or is killed before reproducing? If the data was analysed correctly, and looked at life-span, and not “fledgling success”, it would be determined that the use of 1080 for pest control, isn’t working. Not only is 1080 poisoning the entire ecosystem, it’s endangering the welfare of our native wildlife. The information being fed to the public is that 1080 is helping kiwi survive, when in fact, there’s absolutely no evidence of that. New methodology is needed urgently – not more poison. Conversely, we are informed that 5% of kiwi in untreated areas make it to adulthood. With targeted pest control, using trapping and non-persistent poisons, (not 1080) that figure could be raised substantially – if the use of 1080 was abandoned. Victor McClean, a kiwi recovery contractor on the Coromandel Peninsula, claims to get over 50% chick survival – without 1080 poison. As a representative for UnitedFuture, I can say that I will be working hard to ensure that the UnitedFuture policy of banning 1080, is realised – and more responsible, sustainable pest control methods are employed. 1080 is not only a primary (kills victim after ingesting the bait) killer, but also causes secondary poisoning. For example, if a kea eats a poisonous bait, as was the case 3 weeks ago, it will die. If a kea, the only carrion (dead flesh) eating parrot in the world, were to eat a 1080 poisoned possum carcass, it may also die from secondary poisoning. Poisoned carcasses can kill for months, even years after primary poisoning occurs. 1080 is persistent, especially in winter. Baits can last for months in dry and cold areas – and in regard to how 1080 breaks down in soil – research is still being undertaken. 1080 is a broad spectrum insecticide, and many of our native birds are killed by eating poisoned insects. Kiwi are omnivores – meaning they eat insects, and other types of foods. The Tongariro food supply of many native species has been repeatedly poisoned over the last 35 years. It’s hardly any wonder kiwi aren’t doing well. We could safely assume many other native species are in the same boat. We are yet to see the full impact that the poisoning of New Zealand forests is going to have. Here is an article reporting a whistle blower’s information around dead Kea that were tested for 1080 by DOC. Note: this happened in 2006, the young woman died. See the Suspected 1080 Poisoning page for further info on the foot dragging over testing for 1080 poisoning in humans. The huge growing concern among NZ folk now is the poisoning obviously of our wild food sources (witness the poisoning of the Putaruru family) and of humans. This product is being dropped directly into our water supplies. Search 1080 also in categories. See our 1080 pages for more info & links, &/or search categories for further related articles (at left of any page). Consider liking our FB page &/or following our blog (right of any page) to help spread the word on all the untruths we have been told … we are about exposing corruption and lies! Use the share buttons! A note from admin about commenting. This site/blog is a truth site. Our purpose is to dig below the surface stories and where present, to expose lies and corruption. We do this also by citing independent research from professional people. This is what mainstream media should be doing however media is also corporately controlled now and as we know corporations are for profits not people or environments. For that reason I reserve this venue for commenting that seeks truth also. If you are strongly pro poison, chemicals, damage to environment, damage to health etc etc your views would be best stated in mainstream media where the status quo is already firmly entrenched. Some of the people of the latter persuasion are in fact paid trolls; so desperate are the powers that be to maintain their control of opinion, they pay people to debunk truth. So, that established, please feel free to comment without advocating any kind of violence or hatred. We are for truth and peace here.